Right now in the spring, we should thoroughly clean our body so that your bikini figure can score in the summer. A glass of hot water immediately after getting up in the morning early brings your entire system in a motion. 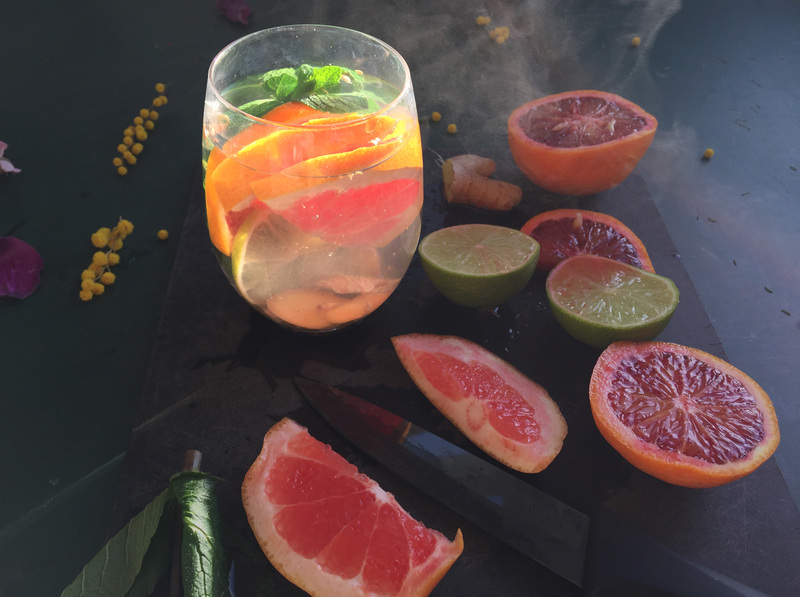 Refined with these fruity citrus fruits, this will make a really delicious magic drink for the best start into the day. In addition, the fresh ginger brings warmth into your body and wakes you up. The fresh peppermint helps you for a pleasant breathe. Drink this tea over the day again and again and especially after too much coffee: it is a super rehydration for your body. Use for the preparation of this tea different citrus fruits such as oranges, grapefruits, lemons or limes and cut some tranches fresh ginger and add this extra into the tea. Some leaves of fresh peppermint can be added after the pouring. Please ensure that the citrus fruits, the ginger and also the fresh peppermint are bought in organic quality so that you can use the peel of fruits for the tea without any thought of pestiziede. A physical detoxification of the heavy winter food is now no longer in the way, because summer bodies are made in the spring! Vorheriger ArtikelNew Video on my Channel!